Looking for images of ‘peace’ on the internet yields predictable and clichéd results, as Signs for Peace: An Impossible Visual Encyclopedia (Lars Müller Publishers, £25, €40) demonstrates in its introductory pages. Screenshots from a Google image search show a ‘perpetually identical’ visual language – multiple variations on Gerald Holtom’s CND logo, peace-and-love signs, rainbows, yin and yang symbols, Picasso’s doves, painted Volkswagen camper vans and carnation-filled gun barrels. The book arose from a research project at the Design2context Institute (now closed) at the Zürich University of the Arts. The resulting book, a hefty, 600-page paperback edited by graphic designer Ruedi Baur and Vera Baur Kockot – a ‘sociologist and culture and iconography theorist’ – brings together thousands of vivid (but often low resolution) images. 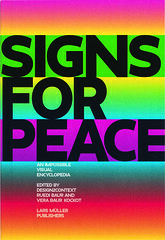 After the intro, Signs for Peace is organised into 106 chapters whose titles range alphabetically from ‘Activism’ to ‘Zimbabwe’ – via ‘Arab spring’, ‘Lebanon’ and ‘Visual Intifada’. Captions are minimal, often providing little more than a URL. Visual examples range from a terracotta peace treaty tablet (ca 1297 BC) to graffiti and protest photography, and many posters, including these violent 1930s examples from the Spanish Civil War. 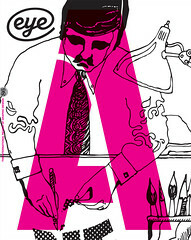 The ‘Dove’ chapter includes powerful posters by Henryk Tomaszewski, John Heartfield and Tahamtan Aminian. Work by contemporary designers such as Jonathan Barnbrook, Peter Kennard and Cat Picton Phillipps, and James Victore (whose ‘Death Penalty Mocks Justice’ is shown alongside radical posters from the US) are laid out alongside anonymous and amateur contributions in a dense layout. 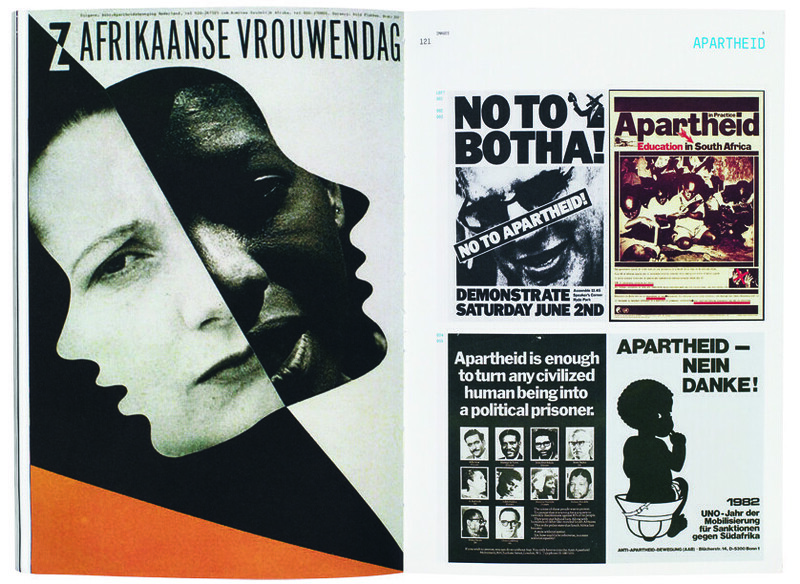 Significant items from the Museum für Gestaltung Zürich’s extensive poster collection make up some of the more polished examples, such as Wild Plakken’s 1988 ‘Afrikaanse Vrouwendag’ [African Womenkind]. Top: Wild Plakken’s 1988 ‘Afrikaanse Vrouwendag’ [African Womenkind].